Inspired by the olden tale of the Little Red Riding Hood, Claire was made for the innocent and pure and heart. We don’t need to wait for an occasion to say ‘Thank you’ or ‘I love you’. With the Finest Token, allow yourself to feel spontaneous any day. Claire allows you to show gratitude, love, or appreciation, in the sweetest way possible. We no longer have to save up to get a gift for a particular occasion. 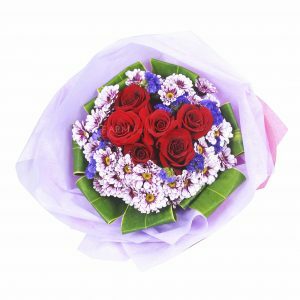 Gifts, especially flowers, when given with the element of surprise, is arguably the best recipe in churning out a smile! for me i just go value for money. 65 bucks and 6 rose is a snap.